For the past few months I have been busy converting a multitude of courses from Moodle to Desire2Learn at VIU. When I heard that I was going to have the opportunity to go to Desire2Learn’s Fusion 2013 (Website).I was ecstatic! Not only was I going to learn a great deal I was going to have the opportunity to network with colleagues from all over the world (in fact 12 different countries were represented). As we prepared for the trip I started investigating the multitude of learning sessions that the conference had to offer. There were so many different offerings to choose from it was hard to pick just a few, but that is what makes a conference great. As the days grew nearer so did my excitement – and it’s hard to believe it has already come and gone already. This session was all about giving your course those little extras that make it sparkle and shine. What they really emphasized was using the course design accelerator as a checklist for designing your course. It was an area of interest for me, and I thought some of the tools they shared where very interesting. The session covered the three main types of ePortfolios that they use for showcasing learning: Competency Based, Learning Based and Showcase. They emphasis at this institution is to showcase personal growth and reflection. This session was laid out extremely well and I found that I had a deeper understanding of the possibilities that ePortfolio provides. An ePortfolio can be used in some amazing ways – and it’s all about giving students’ time and clear guidelines. I didn’t find this session as enlightening as I had hoped. The session focused solely on screen readers and their integration into D2L, which is great for those that need it. As for the other elements – they were missing. The one thing I did get from this is that screen readers are incredibly fast for those that are not used to them and navigation can certainly be a challenge! The objective of this session was to share different tools that you can use to enhance user experience in D2L. The speakers highlighted three keys to engagement. The three keys were: Interactions with content, interactions with peers, and interactions with the instructor. I felt that this was a bit of a surface presentation and it was a bit rushed. This session could have lasted a half day easily. These were some of the best presenters by far! This was a very interesting session. These instructors have taped all of their student labs using Kaltura and had doubled the amount or practice time their students got in the lab. It created a more consistent and more engaging learning environment. It was interesting to listen to their experience of taping themselves doing a demo and what the end result was in terms of student achievement. This session was more a discussion based session. I think it will be interesting to see the direction D2L takes in terms badges. 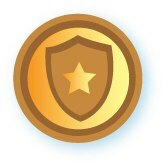 Desire2Learn is still working on a delivery model for badges. It was interesting to discuss ideas and get to know some of the other institutions that are interested in this platform. I will be interested in where it goes and who guides the process. If you want to spice up your PowerPoint’s this is an interesting way to start. This was a basic step by step to adding narration to a pre-created PowerPoint. Unfortunately, we never got to captioning – which I was certainly looking forward to. Nevertheless, this session was interesting and informative. Create your PowerPoint, Narrate, Upload to VIUtube and you’re set – a brilliant addition to any course! or the first 2 years of school fully online! Based on a model from Harvard School of Business this session showed all the possible uses of the calendar in Desire2Learn. I had never really thought of this possibility before and I am still not sure that I am on board with it, but it was a learning experience. I found it interesting that anyone would want to put all their course content into the calendar, but that is exactly what this session was about. Using a course calendar to guide students as to what needs be done using checklist in the calendar, the calendar and the news tool. This was more about the process of the developers than a how to. The title was a little deceiving but it was awesome to see the possibilities within a course. 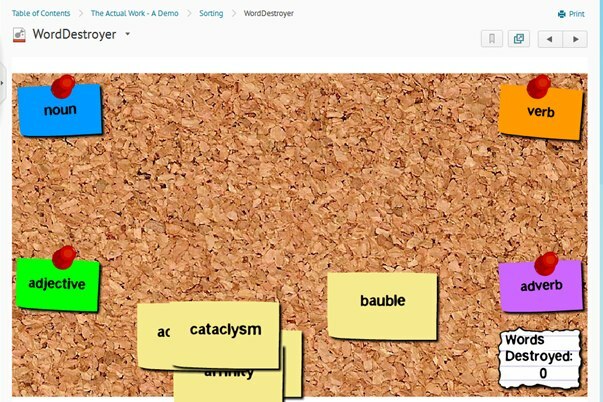 There are some basic scripts that can be applied to any course to add simple drag and drop games or sorting games. It was amazing to see the possibilities. The main conference was excellent and exciting. There were so many amazing sessions to attend and learning experiences to be had. It’s hard to believe all of this was packed into 3 days. One of my biggest highlights was Alec Couros’ Keynote. It was powerful, moving and inspiring. The main conference came to a close, we had the opportunity to stay for the post conference. Part 2 of this blog will discuss the sessions from the Post Conference.